In order to establish the history of the properties presently known as "Stamford Heights", it was necessary to determine who owned the land at the earliest time in the history of the Commonwealth of Pennsylvania. 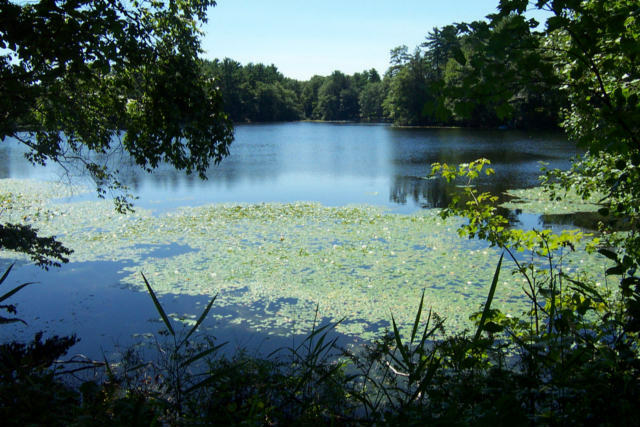 The earliest record of ownership of the lands surrounding and including Lake Mineola, are from the mid, 1700’s. During this time, this area of Pennsylvania was the western frontier of developing America, and was occupied by various Indian tribes who lived in the Pocono Mountain area. There were Colonial fortifications at intervals along the frontier, and in this area were Fort Morris in what is now Gilbert, and Fort Penn in Stroudsburg. Indian raids upon the local settlers were a constant threat, and many settlers were being killed. These attacks were the main reason General Washington ordered an expedition by General Sullivan into the Wyoming Valley and north into New York State. The plan was to destroy all Iroquois villages and crops, and drive the Indians off. His expedition became known as "Sullivan’s March" and the route he took when he marched out of Easton is now known as "Sullivan’s Trail", and marked with historical markers at intervals along the roadside. The expedition stopped and made arrangements for provisions at the gristmill that still exists on Rt. 209 in Sciota. Report filed December 12, 1755 at Easton. This raid took place Dec.10 1755 according to Michael Hute– Michael Hute, aged 21, reported this to Colonial Authorities in Easton after the attack. Michael was an eyewitness to this attack, and escaped. His account begins: "Last Wednesday about 6 O’clock five Indians—"
The Hoethe family was at supper when Indians attacked the home of Fred Hoeth, wounding a woman and killing Mr. Hoeth. They set fire to the house, forcing Hoeth’s wife to run to the bake house, which was also set on fire. [The] "Poor woman ran out through the flames and ran into the water and there died. The Indians cut her belly open and used her otherwise inhumanly. They killed and scalped a daughter, and 3 other children were burned. Three of Hoethe’s daughters are missing with another woman who are supposed to be carried off. In the action one Indian was killed and another wounded." 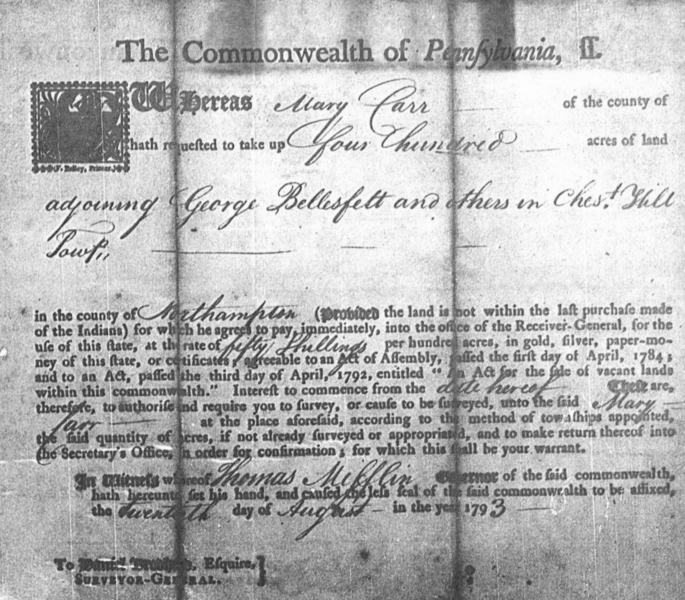 On August 20, 1793, the Commonwealth issued two warrants to a Mary Carr, for land to be surveyed in Chestnuthill Township. Warrant C-26 page147 issued Aug. 20, 1793, for 409 acres and 81 perches, was surveyed Nov. 27, 1794. Warrant C-26 page 146, also issued Aug. 20, 1793 was for 384 acres. This land was surveyed Oct. 6, 1803, ten years after the first parcel was surveyed. This Warrant was for "400 acres of land adjoining George Bellesfelt and others in Chest. Hill Towp". Chestnuthill Township was then a part of Northampton County. As was usual at that time, a warrant was issued first, and then the person wanting to purchase the land had to have that land surveyed. The survey of the tract of land was then submitted to the Surveyor General of the Commonwealth for approval. If approved, the Commonwealth would issue a confirmation, and the land became the property of the person who had it surveyed and paid the established fee of 50 Shillings per hundred acres. Other than these Warrants bearing her name, there is no further information regarding Mary Carr to be found. The County she lived in at the time of the Warrant is not discernable. Research of Pennsylvania census records and the Pennsylvania Archives-Third series Vol. 26 page 59 indicate that Mary Carr may have been from, or relocated to, Washington Township in western Pennsylvania. There the trail of Mary Carr ends. For a woman to be making such a large land purchase, at this period in history, and without a husband or some other person ‘s involvement, indicates Mary Carr had a substantial background, or had been well connected. Most women at that time in early America just did not purchase large tracts of land for investment speculation. Why she did purchase this land and for what reason, we do no know, but it is from this Warrant, C-26 page 146, and the hand drawn survey that was later filed, we can locate the original land tract because it contains two distinctive features. One is Lake Mineola, virtually unchanged since this purchase, and the other is McMichaels Creek. These two landmarks allow one to follow the divisions of land surrounding these landmarks, from the original land grant up to the present day. The sale of Mary Carr’s property and its development over the years, presents an interesting time-line for the development of the village of Brodheadsville. The area discussed in this paper covers the area from the center of town at the intersection of 209 and 715, northward to the Effort-Neola road. This area was to later become the center of Brodheadsville and Chestnuthill Twp., containing Lake Mineola, the Firehouse, the Municipal buildings and Township Park. The Township incorporated in 1763, Brodheadsville being the oldest village in Chestnuthill Twp., and was originally named Shaffer. See Map 1, which is the survey plot also. Mary Carr was granted a Warrant to survey land in Chestnuthill Township on Aug. 20, 1793. Carr hired surveyors and had the survey submitted and approved on Oct. 6, 1803. Her warrant was accepted and approved by the Commonwealth January 12, 1809, sixteen years after the original warrant was issued. Viewing Map1, you can observe Lake Mineola in the bottom right hand corner and McMichaels creek running through the land on a diagonal. At the point on the map where the creek splits into two, then three streams, is the point where present day Rt. 715 crosses the creek. This is about a mile north from the intersection of Rts.715, and 209. This land was surrounded by other properties owned by: John Wilson, David Kennedy, George Bellesfelt, J. Hardy, Lawrence Hipkey, William Rofs, and Hans Christian Swarting. This map represents the entire claim purchased by Mary Carr. Mary Carr may have later located to Washington County, for the Federal Census of 1790 lists a Mary Carr living there. But no further record of her existence has been found in Northampton County or Philadelphia. The Carr name was not a common name known to this area of Chestnuthill Township. The dotted lines show the survey print-through and are not on the original. This Warrant permits the land to be surveyed prior to being approved by the State. Note that the warrant states that the purchase is accepted "provided the land is not within the last purchase made of the Indians" The purchase price of this land was "fifty shillings per hundred acres" Four hundred acres were applied for, but this was later surveyed at 380 acres. This "Beers" map of "Early Landholders" in Monroe County is located in the Monroe County Deed Room in Stroudsburg. The outline of the Mary Carr tract is marked but the location of Lake Mineola is somewhat inaccurate, and out of scale. At the time of her purchase Brodheadsville was then called Shafers. This 1839 map shows the town name as Shafers. Map 2 & Map 3 shows the development of the two parcels of land that abutted the Carr land on the line that runs 10 deg. North, which is along the right side of MAP 1. There is a particular notch and angle at this location that helps identify the parcels that join here. Adam Huffsmith purchased these parcels, called "Eden" and "Harford", and went on to purchase a great deal of land in this area. Adam Huffsmith purchased large parts of the Carr tract by bidding at Sheriff Sales. The Huffsmith’s lived in this area until the mid 1860’s after which they are no longer active. Their early records show the name as being "Hoofsmith" then later as "Huffsmith". Adam Huffsmith granted permission for a dam to be constructed on one of his properties. 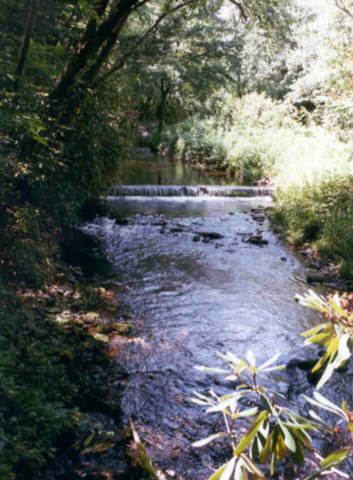 The millpond on McMichaels creek was to feed a mill that was located at the location where McMichaels creek now passes under rt. 715. This mill was known as the Wagner Mill, and the property as the "Mill Lot." This Mill site was destroyed when Rt. 715 was cut through in the 1930’s. It was about 1 mile north of the 209/715 intersections on 715. 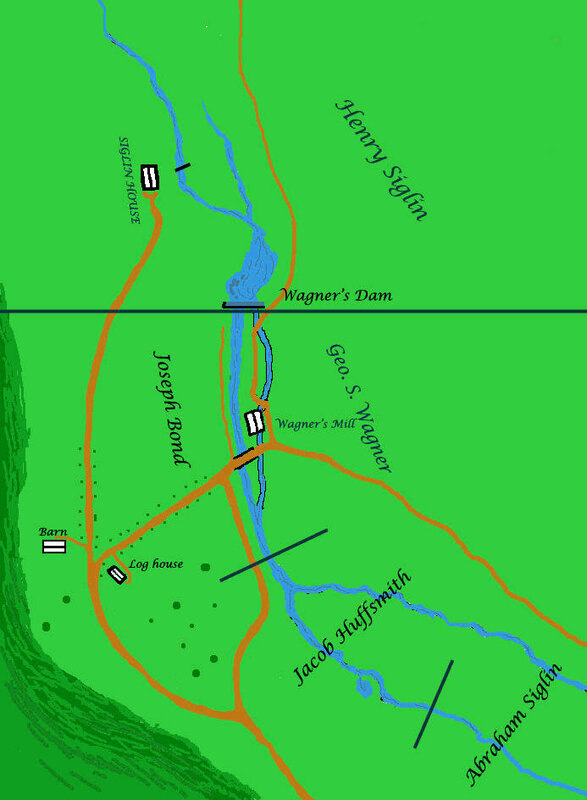 Jacob Huffsmith originally purchased much of this land in 1817 (Map 3). See also plot 2 and plot 3. George Levers sells the original Carr tract plus some other parcels he owned to Frederick and John Siglin in 1814. The boundaries in green are the original Carr tract. Map 5, and Map 6, Plot 6 and Plot 7 show the development of the Carr tract and surrounding lots. 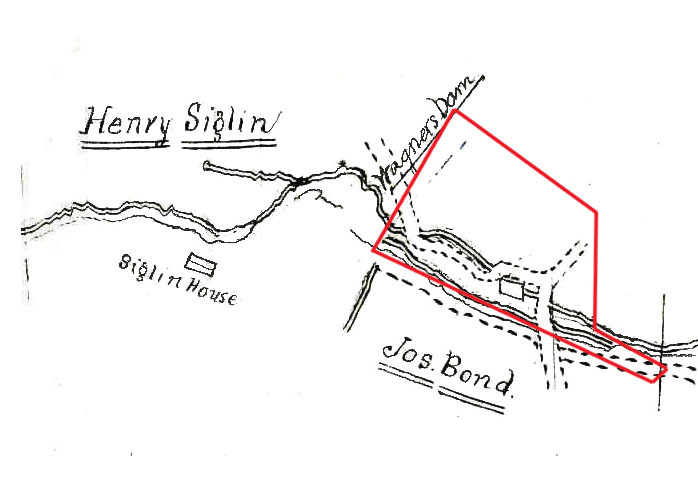 In 1837 Frederick and John Siglin sell a portion of their property to Jessie Siglin. This was also part of the original Carr tract. Map 7 shows this parcel included in the overall development of the original Carr tract, which is outlined in green. Plot 8A- Rt.715 and 209 intersect at he lower left corner of this plot. The lower left corner of this lot is presently occupied by the Wawa convenience store. Showing original Carr tract plus land of Frederick, John, and Jessie Siglin, and Adam Huffsmith. Plot 9 is dated 1848 shows the development of the north corner of the Carr tract in 1848. This map shows the development of the Carr and surrounding tracts as they were in 1860. Plot 10 dated 1856 shows the western edge of this property when Jacob Huffsmith sold it to Charles Laufer. This map shows the continued development of the Carr and surrounding tracts as they appeared in 1861. Plot 9A is included at the apex of Map 9A. Plot 9A is dated 1861. Map 10 shows two parcels of land. 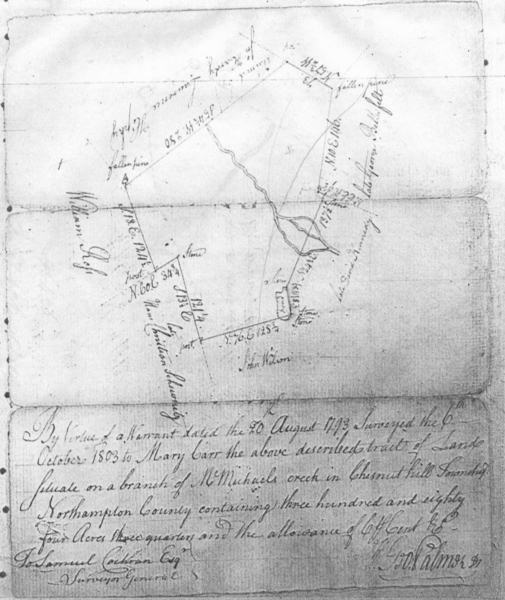 A tract sold to Jacob Huffsmith Jr. by the estate of his father Jacob Huffsmith Sr. containing a little over 23 acres. The smaller portion is called the "Mill Lot" This lot contained a working "gristmill", including the mill race, and possibly a shop with a turning lathe and circular saw, This lot was sold to Charles Laufer and John Wagner. After this sale this mill came to be known as "Wagner’s Mill". This lot was the subject of an "Agreement" for the rights to build and maintain a dam and millpond for the mill that was to be built later. Plot 11 shows the larger tract of land abutting the "Mill Lot." Plot 12 shows the land presently occupied by the Chestnuthill Municipal Park as it appeared in 1864. Map 11 Shows development of land surrounding the "Mill Lot"
Plot 13 shows the "Mill Lot" survey, and shows a Lewis Decker owning the land to the north. View of Mill lot laid over period map of McMichaels Creek: HERE. An agreement between Jacob Huffsmith Sr. and Lewis Decker allowed for a dam to be constructed across part of the Decker property to form a millpond to power a mill. This agreement specified the dam size and rights of access for maintenance. This agreement is filed in the MISC. book Vol. 1 page 472 in the Records Room at Stroudsburg Courthouse. See "Agreement"
Map 12 shows the "Quit Claim Deed" for land that was later to become the "Stamford Heights" development. Map 12A shows the configuration of the land owned by Jacob Huffsmith’s at the time of his death in 1864. This deed was for the land owned by Abraham Huffsmith, which was left to him by his fathers will. This also shows the Mill Lot and the "Public Road" which was to later become Rt. 715, and the property to the south, which was to become the Municipal Park. Also note that C.D. Brodhead owned a strip of land stretching from the location of his hotel (now Brodheadsville Inn) to almost the bottom line of what is presently "Stamford Heights"
"Regarding Will of Jacob Huffsmith for extra 100 acres of land taken from land near the pond and C.D. Brodhead." There was a slight closing error with this deed, which may have been a clerical error when it was recorded. Map 14 shows the extent of lands owned by C.D. Brodhead and Daniel Brown (a business partner) This property ran from Rt.209 (Easton/Wilkes-Barre Turnpike) to part of the southern line of what is now "Stamford Heights"
Brodhead sold his store and hotel to Linford Heller in 1865. J. T. Stozz later purchased the store in 1886. Brodheadsville Tavern and Hotel is now the Brodheadsville Inn. Also shown are the lands of Frederick Siglin. The boundary between the properties was a "Public Road" later to become Rt. 715. A part of the "Mud Lake" was filled-in to make the area presently used by the Firehouse. The lower left corner of Siglin’s land is where the WaWa convenience store is now located. Siglin’s barn existed until the early 1990’s when it was torn down to expand parking at the WaWa convenience store. Plot 15 shows more detail of the C.D. Brodhead property, which was originally sold to Brodhead by Daniel Brown and Joseph Keller. Plot 16 shows the land granted to the Zion Church by Michael Getz for a "burial ground". This plot is the "Old Brodheadsville Cemetery" located across Rt. 209 from the Zion Church. This church was built in 1861 and the weather vane above the steeple is marked with this date. Plot 17 shows the Deed of Trust for the property of the Zion Church. Michael Getz granted this property to the church. This was recorded August 21 1862, but the actual building was constructed in 1861. This map shows the development of the Lewis Decker property north of Stamford Heights. Daniel Brown and Joseph Keller sold this property to Lewis Decker in 1848. The Decker Estate then sells this land to Henry Siglin in 1868. Plot 18 shows detail of the property shown in green on Map 15. Plot 19 shows detail of the large tract shown in Map 15. Plot 20 shows further transactions of the same property as Plot 18 for the year 1912. Plot 21 shows the further development of Plot 19 for the year 1947. G. A. Pelez lived here till her death in the early 1990’s. Her house was the original Henry Siglin house with later modifications. This map shows the total land holdings of Jacob Huffsmith Sr. (deceased) and Jacob Huffsmith Jr. circa 1870. On September 28 1874 the Orphans Court in Stroudsburg sells the land inherited by Abraham Huffsmith’s children. In their grandfather’s Will (Adam Huffsmith), it was stated that the land was to be held until all the children had all reached legal age. By 1874 one child was still only 10 years old. The older siblings felt the land was going to lose its value if they waited another eight years until she reached legal age. The executer and guardian of the children claimed that the buildings on the property were becoming dilapidated and unfit to live in and the land wasn’t being farmed. It was felt the value of the land was rapidly decreasing. The Orphans Court decided it was best to sell the property and give the proceeds to the Huffsmith children. The Orphans Court held an auction on the property and Joseph Bond "was the highest bidder" and claimed the land. Map 16 shows the entire area covered by these deeds researched for this project and its development from the original Mary Carr Tract. 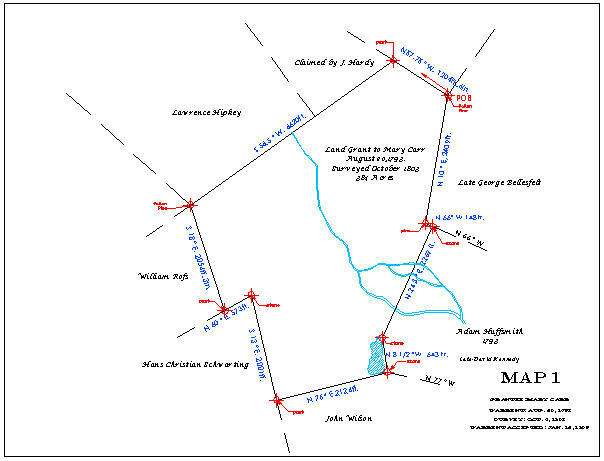 Map 17 shows the entire area covered by these deeds researched for this project and its development from the original Mary Carr Tract, including the dotted-in lines of the original early roads in their approximate locations. Map 18 Shows the development of the land purchased by Anthony Sabia from Olive P. Bond in 1973 and its subsequent development by the Patton Corporation of Vermont, into the Stamford Heights development. Plot 22 Shows the tract of land owned by Olive P. Bond that was sold to Anthony G. Sabia in 1973. Several members of the Bond family had inherited an interest in the property with the passing of Joseph Bond July 28, 1921 and then his wife July 26 1925. Joseph Bond had purchased this land from the Orphans Court sale in 1874. When Olive P. Bond decided to sell this property she had to appeal to various family members to give up their interests and pass their title to Olive Bond. All the parties, mainly William A. Bond, Marian E. and Sara R. Bond and Elizabeth M. Place, signed a quitclaim deed and passed the title solely to Olive P. Bond, who then sold this property to Anthony Sabia. The text of this deed makes reference to several former landowners who owned the surrounding properties but had long since died or had sold their property to others. Lewis Decker had owned the "Mill lot" property prior to 1860 and C.D. Brodhead, after whom the village was named, had left Brodheadsville in the 1850’s relocating to Stroudsburg. Anthony Sabia retained a part of this tract of 100 acres, and then sold the remaining 91.48 acres to the Patten Corporation in 1988. It was from this tract of land, which was sold to the Patten Corp. that the development of Stamford Heights finally emerged. Plot 23 On March 23, 1988 Anthony Sabia sells 91.48 acres to the Patten Corporation, a Vermont land developer, who planned to put a development of "Executive estates" on the land. This was to be one of the exclusive real estate sites in the community and was to be kept in its pristine condition by a series of covenants protecting the development’s land use. There were to be no outbuildings, fences, above ground pools, sheds, trailers, etc. This was an attempt to keep the land in its original condition. Almost all of the purchasers of the lots making up the development of Stamford Heights have accepted and complied with these covenants, making the development one of the nicest in Chestnuthill Township. Those owners not complying with the covenants may be subject to action taken by any individual landowner or group of landowners to enforce the agreed upon conditions as stated in the original covenants. It is these covenants that the Patten Corporation and Anthony Sabia had put in place, which will preserve the beauty of the location and keep the property values viable by not allowing landowners to corrupt the scenic beauty with dilapidated or unsightly structures. Plot 24 shows the original Sabia purchase of 1973 with the overlay showing the track that was sold off to the Patten Corporation in 1988. Anthony Sabia retained a portion of this land which has several houses located on it. The white house fronting on Rt. 715 near where Rt.715 crosses over the creek was the home of Olive P. Bond for many years. The several houses on this land are rental properties and this tract of land is presently known as "Stamford Heights Farm." It abuts Rt.715 and the northeasterly ridge of "Stamford Heights"
Plot 25 shows the original property owned by Abraham Huffsmith sold by his trustee Charles Huffsmith to Joseph Bond in 1864. Joseph Bond dies July 28, 1921 and his wife July 26 1925. Their interest in this land passes to his heirs, and his sister Olive P. Bond makes this her home. Olive P. Bond then sells this tract to Anthony Sabia in 1973. Anthony Sabia sub-divides this property and sells 91.48 acres to the Patten Corporation Mid-Atlantic, a Vermont land developer, who subdivides 73.03 acres into lots "to become known as Stamford Heights a plan of 46 residential lots." The original subdivision was approved May 12, 1987 and revised July 8 1987. Original planning commission approval July 17, 1987. Township supervisor’s approval August 4, 1987. The plan was further modified and final subdivision approval is dated December 8, 1987. Jacob Huffsmith, died in 1864, and was the father of Abraham Huffsmith. The land presently known as Stamford Heights was passed to his son Abraham by his will. Abraham died two years later in 1866, leaving his 100+ acres to his 10 children. Abraham was the last of the Huffsmith family to own the land presently known as "Stamford Heights". After Abraham died in 1866 his property was passed to his 10 children and was not to be sold until his youngest child reached maturity. The older siblings later petitioned the Orphans Court in Stroudsburg to sell the land since it was falling into disuse and losing value, and would lie fallow another 10 years before the youngest child reached maturity. The court agreed and the land was sold at auction to Joseph Bond in 1874.